A joint operation between Solomon Islands RSIPF Honiara City and Guadalcanal Province uprooted and confiscated about 3,000 marijuana plants today Saturday 12 August 2017. Police uprooted two gardens in two different locations. One location at Mbarande and the other at Mbalesuna, East Guadalcanal. During the raid, the joint operation apprehended an alleged suspect for farming the illegal and dangerous plant. Currently the suspect was under police custody waiting for further investigations. 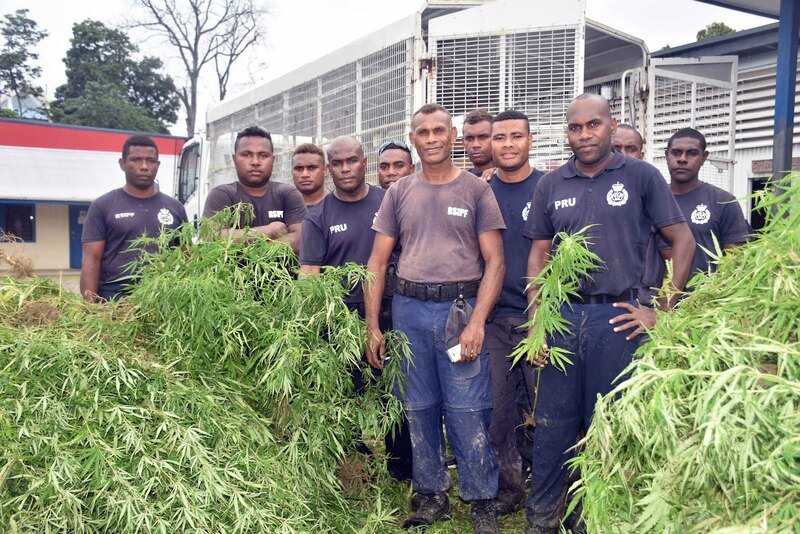 Inspector William Foufaka, Joint Operation team leader says, chiefs and community elders are very pleased with this police operation and they appeal to police to do more raids and uproot marijuana around Guadalcanal plains. 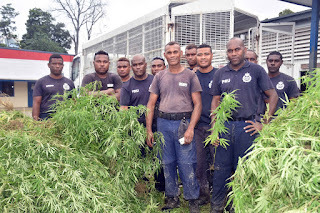 Provincial Police Commander (PPC) Guadalcanal Province Mr Nixon Manetoga acknowledged community working together with police to which resulted in the successful operation to remove these dangerous plants. “We work together to remove these dangerous plants from our communities to make our communities a safe place,” PPC Manetoga said. PPC Manetoga appeals to the local communities to contact police and report any similar activities happening in our communities so that police can remove them. Mr Manetoga commends officers involved in the joint operation for the well done job and more especially with assistance from Honiara City police.